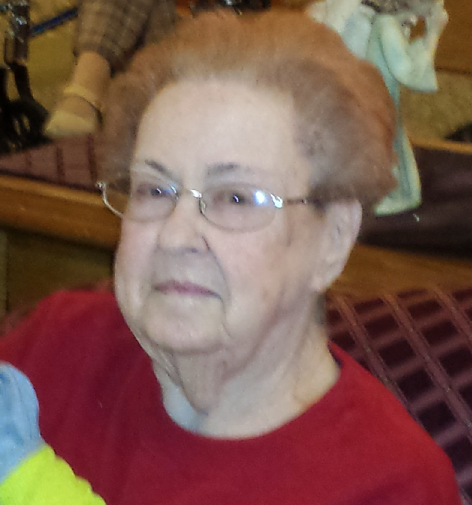 Mary Eileen Townsend, 89, of Lyons, passed away January 21, 2019 at Hospital District #1 of Rice County, Lyons, Kansas. She was born July 31, 1929 in Menlo, Kansas, the daughter of Ralph and Iva Barnhart Turner. She graduated from Menlo High School, Menlo, Kansas, with the class of 1947. Mary has resided in Lyons since 2014, formerly of Hays, Kansas. She was a bank teller at Citizen State Bank in Utica, Kansas from 1959 to 1979; and a grandparent at Hays USD 489 for several years. She was a member of VFW Women’s Auxiliary, Utica. Mary is survived by her two daughters, Sandra K. Shirley and husband Jerry of Kanopolis, KS, and Shirley Sue Rimpley and husband Tony of Tulsa, OK; twelve grandchildren; and twenty-two great-grandchildren. She is preceded in death by her parents; husband, Dole Townsend; son, Stanley Townsend; brothers, Dale and Loren Turner; and sisters, Myrtle Quinn, Rosa Wigington, Ethel Teel, Opal Teel and Esther Turner. Graveside service will be 2:00 P.M., Saturday, January 26, 2019 at Utica Cemetery, Utica, Kansas. Memorials may be given to Rice Community Healthcare Foundation-Swing Bed Unit in care of Birzer Funeral Home, Lyons.